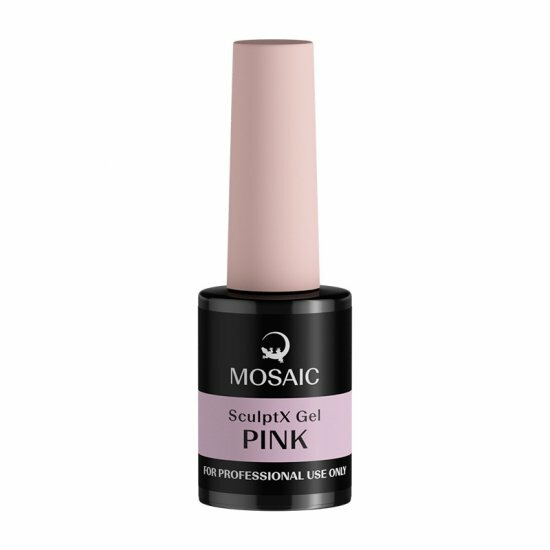 Thick soak-off manicure builder gel in a bottle. Flexible and self-leveling. Allows free edge extensions up to 5mm. Does not require a base coat. If carefully applied it does not need shaping with a file. Directions: Prepare the nail as usual. Apply SculptX in the desired amount (whether you are doing extension or strengthening). Cure UV36W – 2 min, LED18W – 60 sec. Shape and buff if required. Remove tacky dispersion layer before applying color coat and/or top gel.